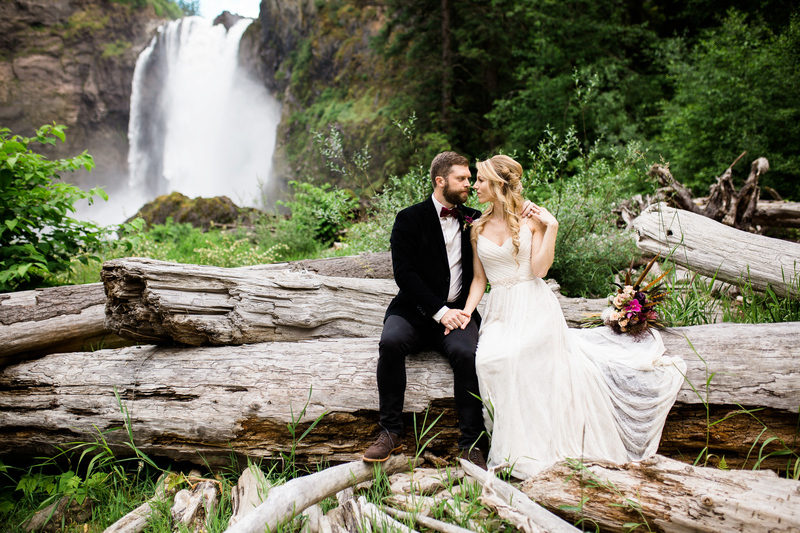 “I look forward to our lives together, to the riches and wonder we find, to the adventures we share, and to the challenges we meet. 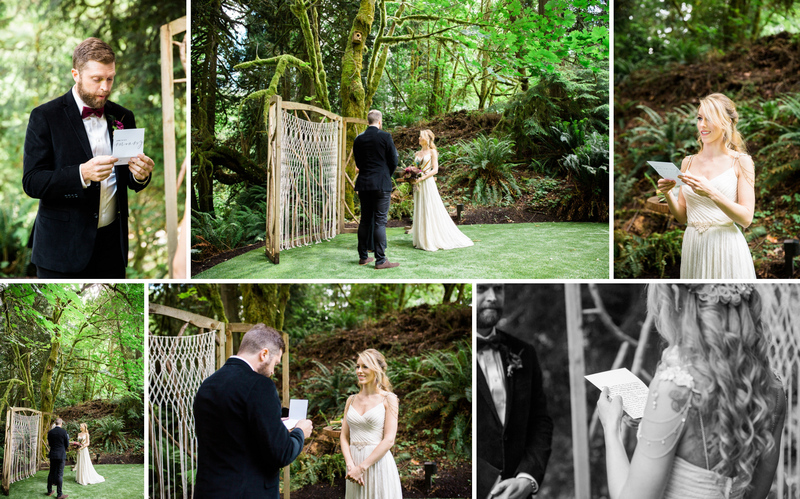 And as we face the world hand in hand, I will be yours until the end of days and beyond.” – Matt’s wedding vows to Rachel. 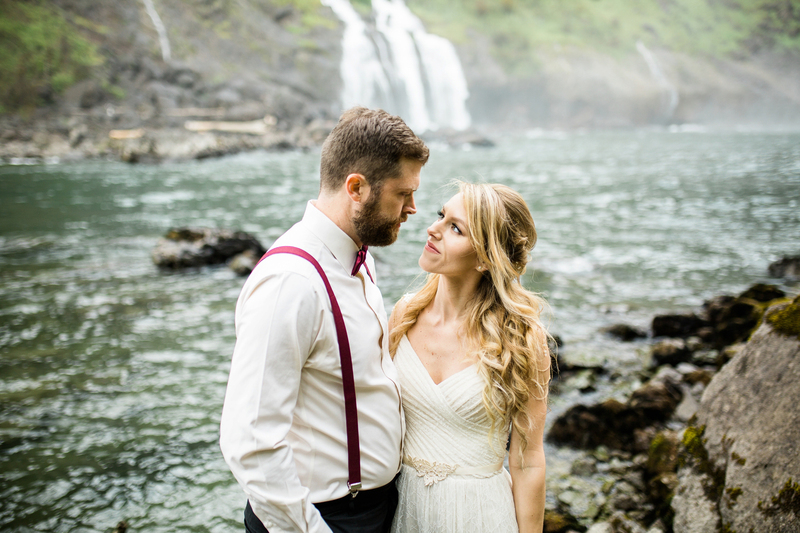 Rachel & Matt’s elopement wedding wasn’t just an incredibly beautiful day, but it was a day filled with promise, hope, and love. 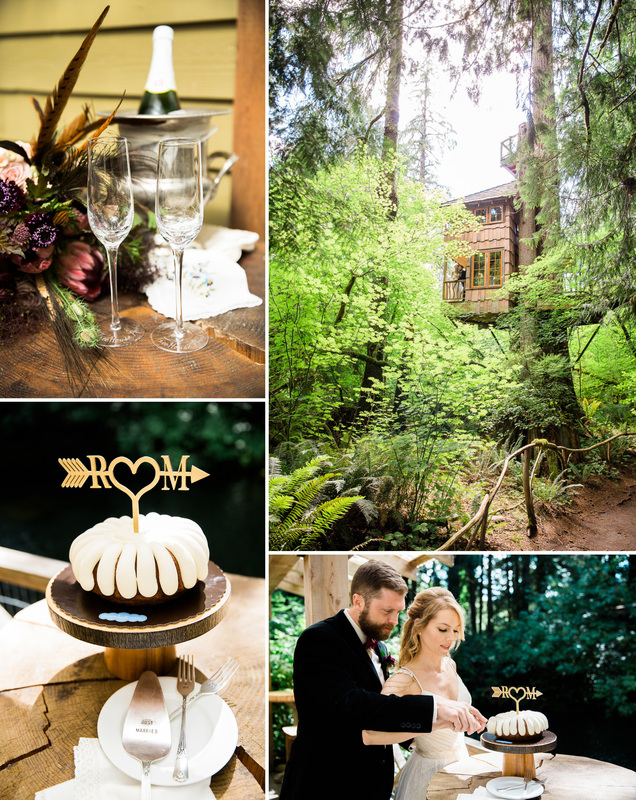 Their elopement started at Treehouse Point, where they had their ceremony, and a little cake and bubbles to celebrate before we hit the trail. 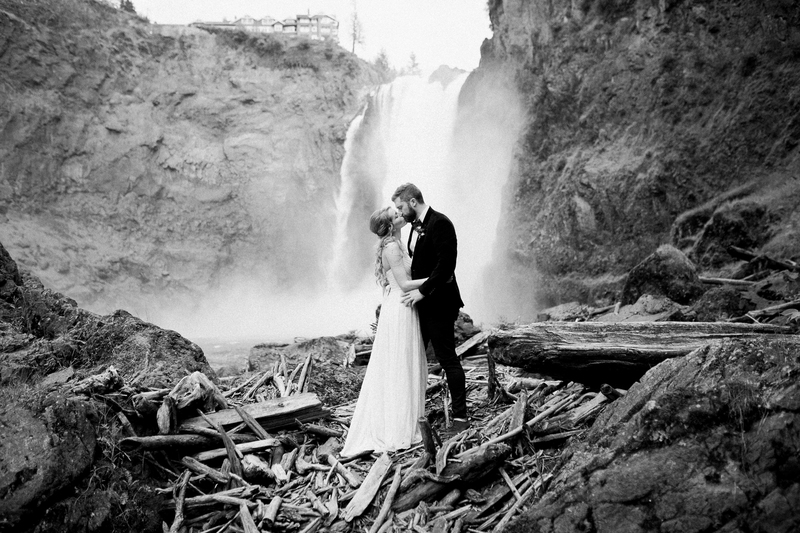 We then hiked together out to Snoqualmie Falls. 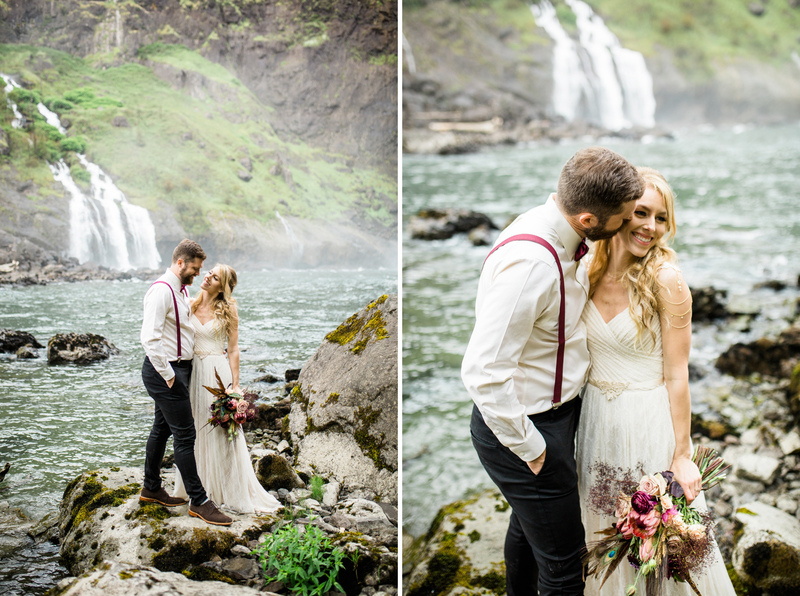 Being able to share my favorite locations in the PNW with couples is an absolute joy. 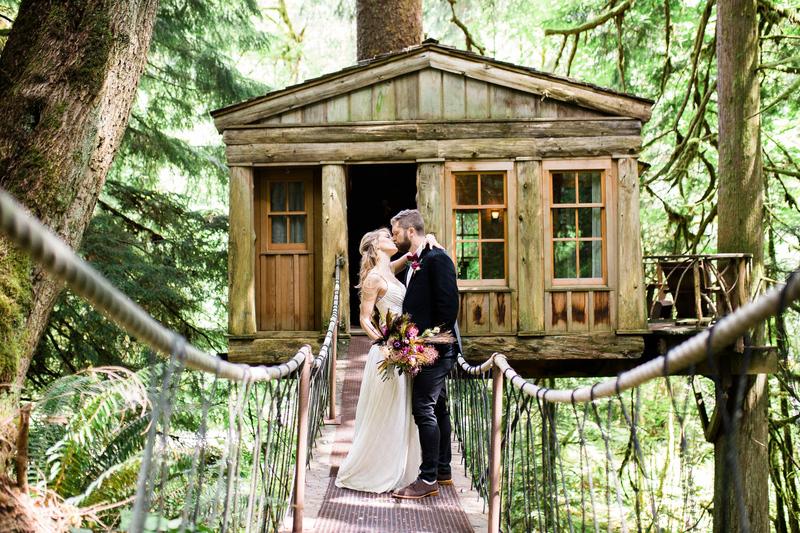 What a gorgeous adventure wedding! 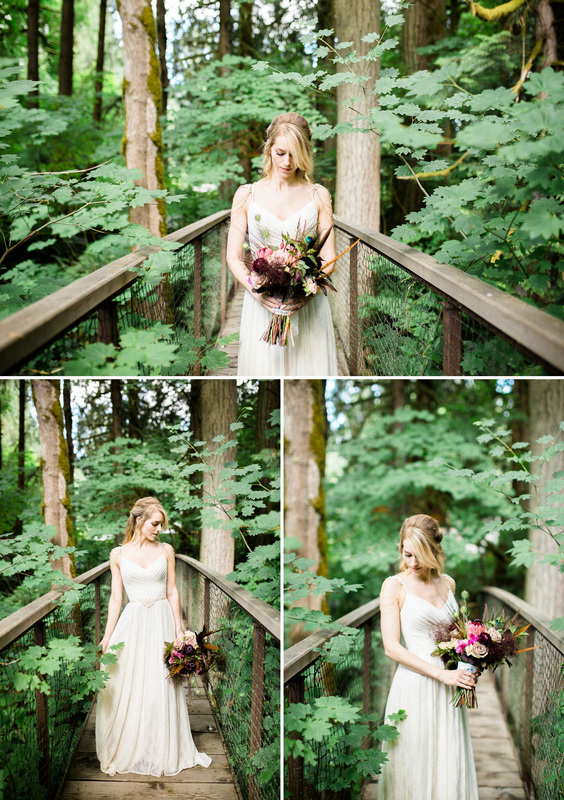 Her dress details are so delicate and lovely. 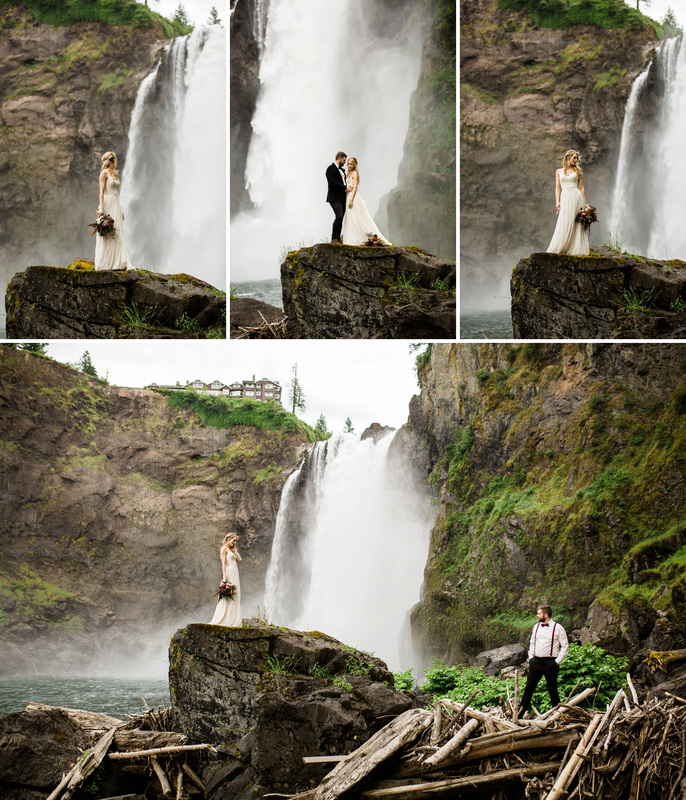 You photographed this elopement so wonderfully! 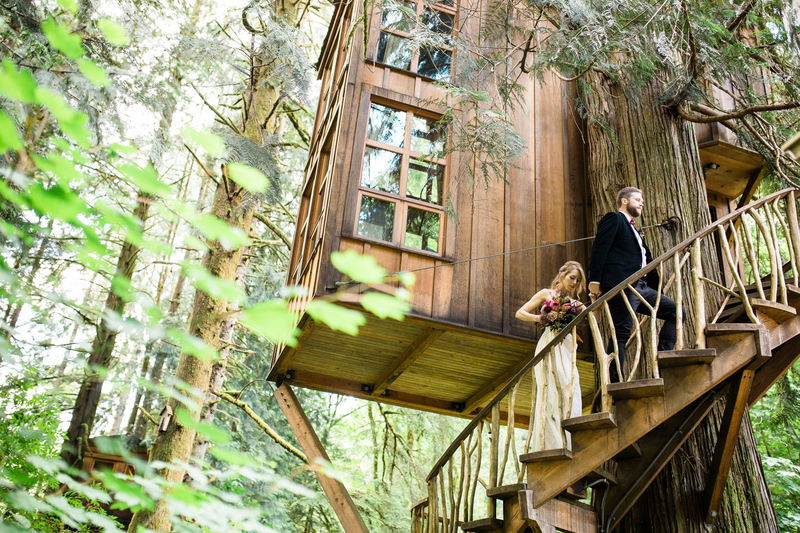 Oh my gosh, this treehouse adventure wedding is seriously amazing! 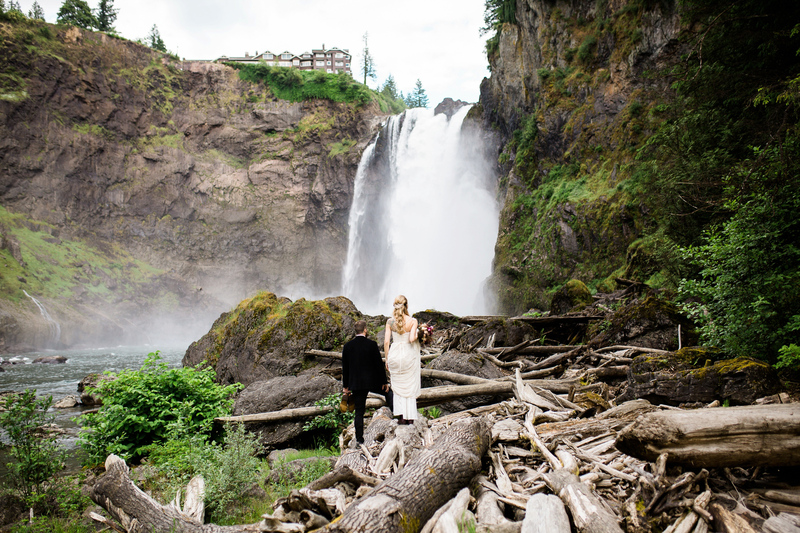 And that waterfall is gorrgeous! 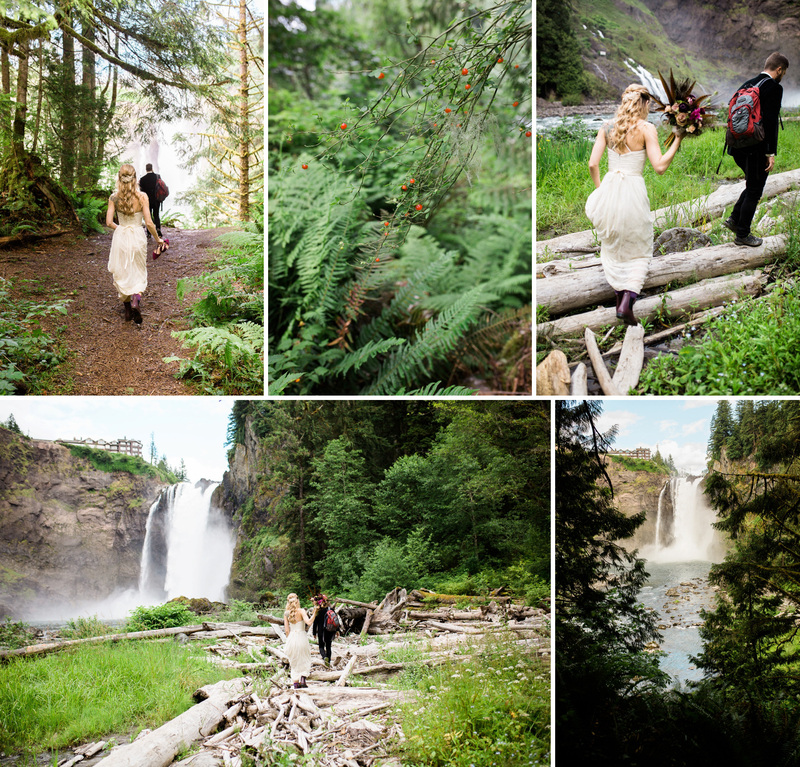 Makes me want to have a Seattle elopement! 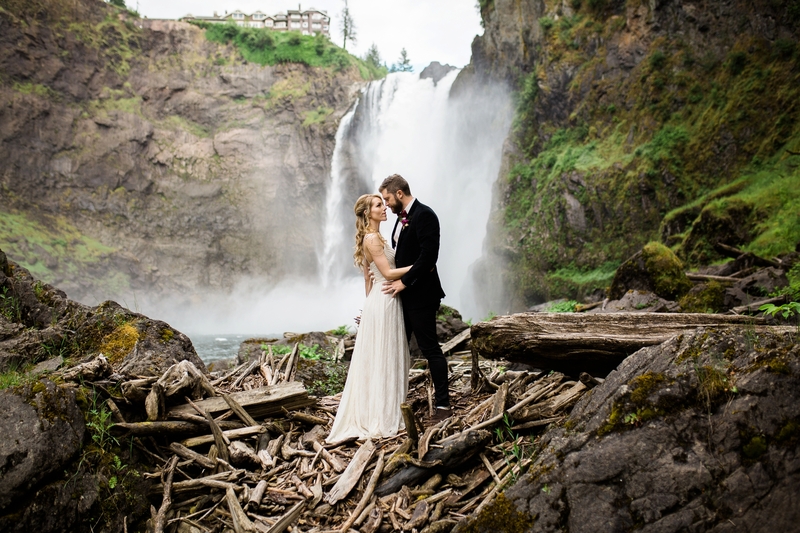 Holy moly this is perfection. 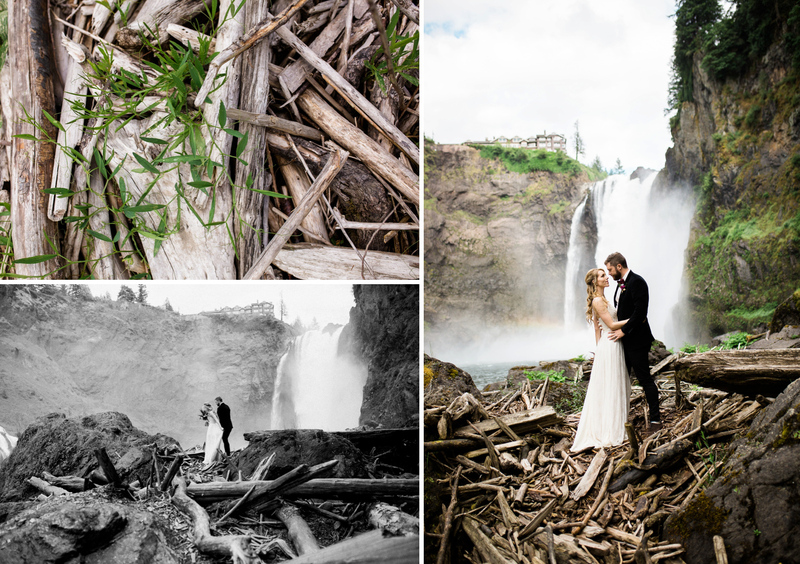 You captured the beautiful lush color of the PNW so well, and absolutely documented their day perfectly. 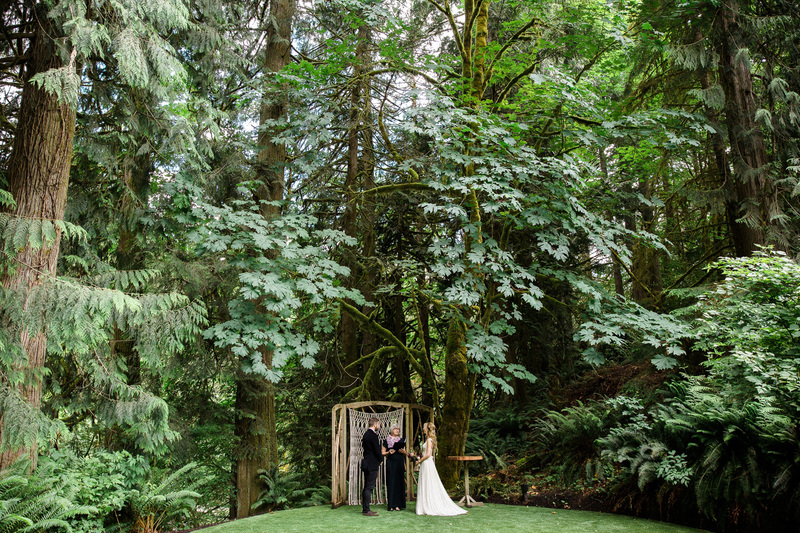 What a beautiful Washington state wedding! 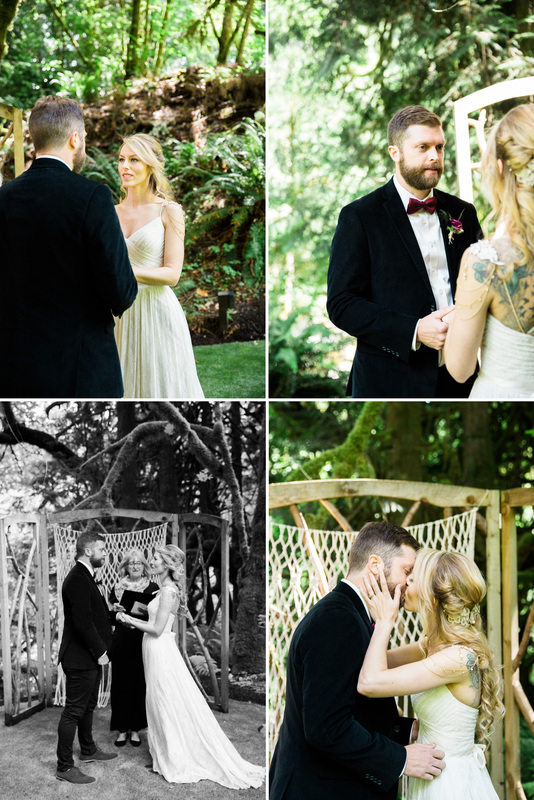 Her wedding dress is everything!! 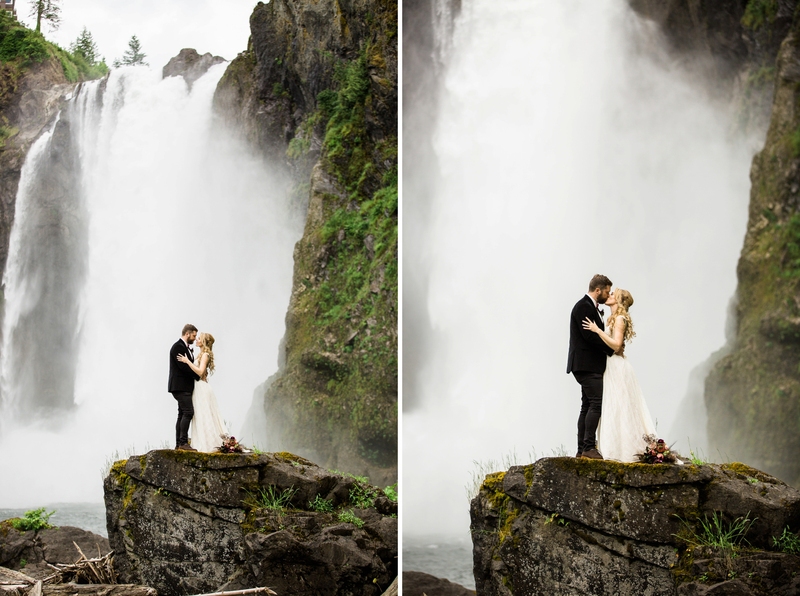 And these waterfall photos towards the end are just magical. 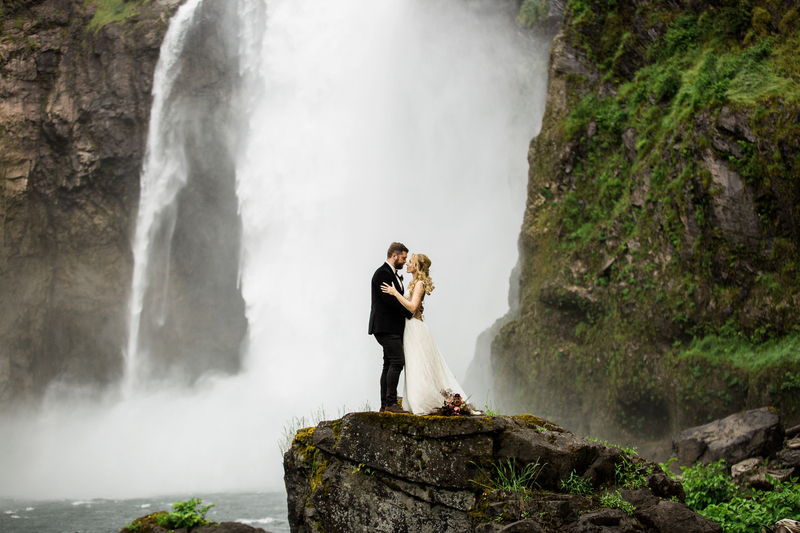 Such a great adventure wedding. 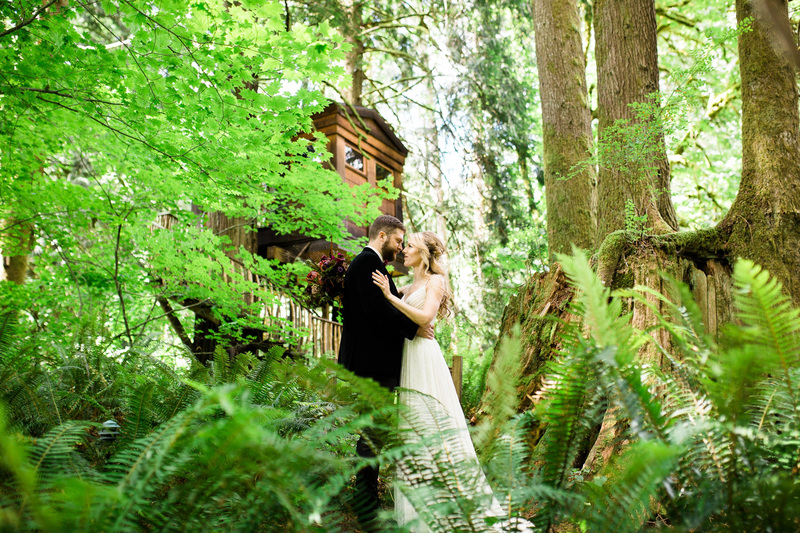 Wow, this Seattle elopement at the treehouse is amazing! 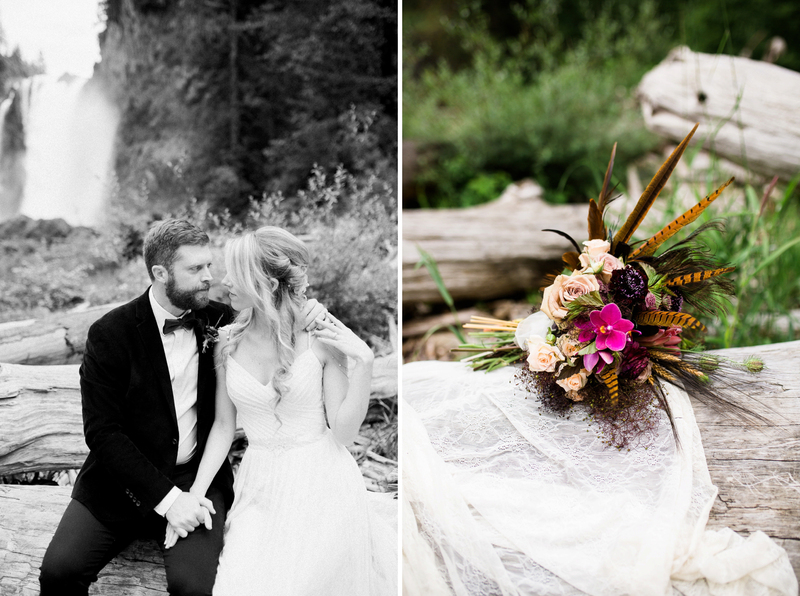 I also love the styling – her florals are so stunning. Beautifully captured! 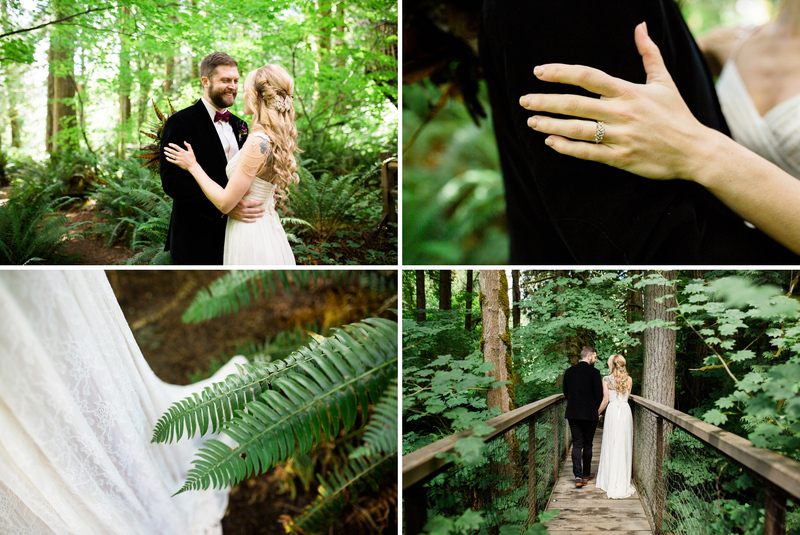 This Seattle adventure elopement is to die for!! I love your editing too! 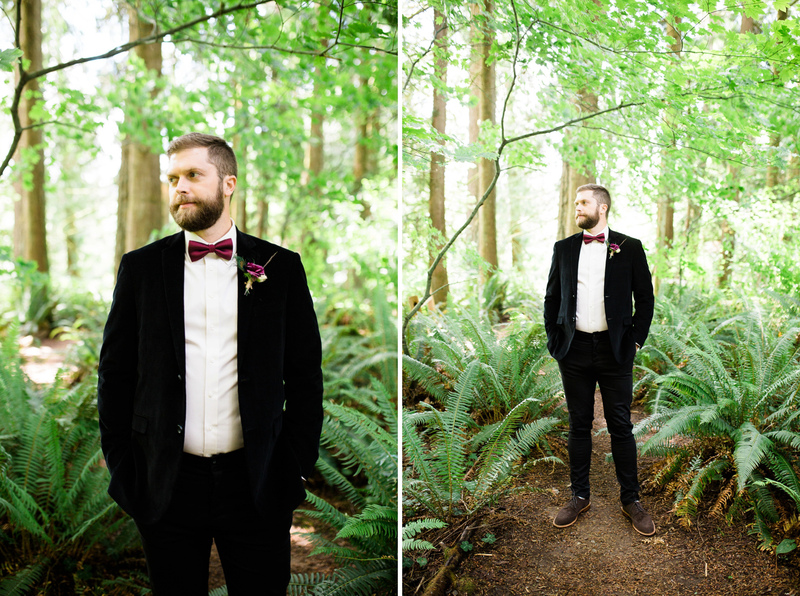 DYING over this Seattle wedding. 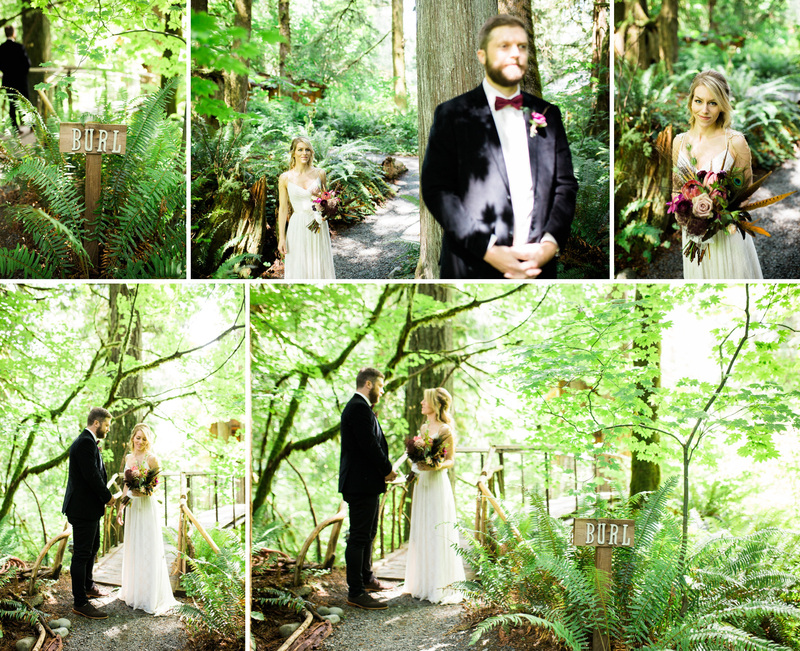 Omg I’m just obsessed with the whole thing!